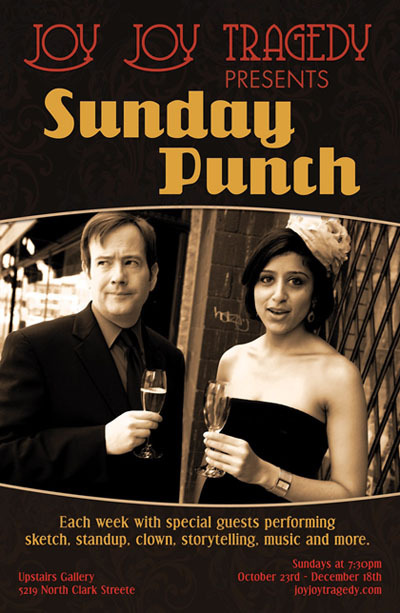 My two person show with Amrita Dhaliwal, Joy Joy Tragedy, will be on for one night in September. This is your only chance to see us this month! We will be opening for Improvised Jane Austen at Stage 773. Tickets are $10 at the door. Be sure to tell them at the box office that you were invited by Joy Joy Tragedy. 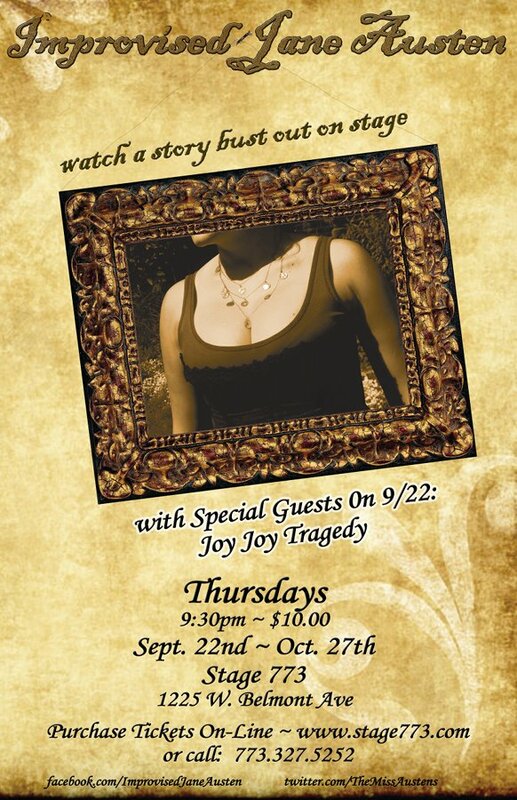 Author mullaneyPosted on September 20, 2011 Categories improvTags Amrita Dhaliwal, Improvised Jane Austen, Joy Joy Tragedy, Stage 773Leave a comment on Joy Joy Tragedy returns! What is Joy Joy Tragedy? In my most recent class at Black Box Acting Studio, I met Amrita Dhaliwal. We were assigned a scene from The Memory of Water. We worked on it and ran it in class a couple of times. At break one day, she asked me if I wanted to perform the scene in a show. She talked about how it was shame all the work we would do to prepare a scene and never get a chance to do it in front of an audience. Author mullaneyPosted on June 6, 2011 Categories improv, theatreTags Amrita Dhaliwal, Black Box Acting Studio, improv, Joy Joy Tragedy, Second Stage, Upstairs Gallery Chicago2 Comments on What is Joy Joy Tragedy?